Stonewater, a leading social housing provider, launched its first rent-to-buy scheme on 11th January 2019. In partnership with South Somerset District Council, Stonewater’s first new homes development featuring affordable homes for local people taking advantage of Rent to Buy is nearing completion at Balsam Park in Wincanton. The properties will be available for rent at 80% of market for a similar property to enable tenants to save the deposit to buy the home they are renting at the end of the five-year rental period. The new scheme is designed to give working families the realistic opportunity to work towards owning their own home whilst renting it. The principal idea for the scheme is – rent now, buy later. Getting on the property ladder while you pay rent each month is difficult. A huge proportion of your monthly income goes towards your rent and saving enough money for a deposit at the same time often seems impossible. Now you can rent a brand-new home at 80% of the market value rent, with an option to purchase the home at the end of the tenancy. 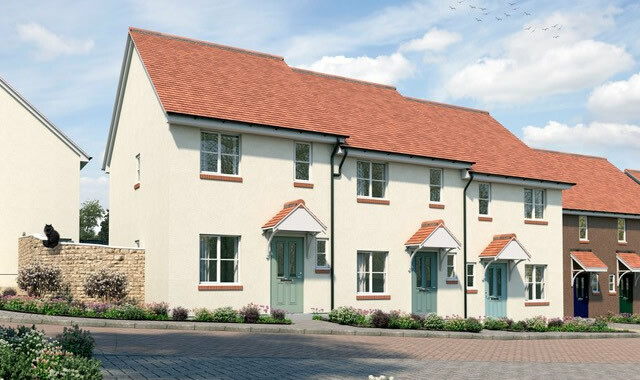 The organisation’s first Rent to Buy scheme is at Balsam Park, Wincanton, conveniently located within walking distance of the High Street. The development will feature 15 new homes; seven two-bedroom and eight three-bedroom houses. In line with Stonewater’s commitment to provide high-quality affordable homes, all 15 properties will feature private gardens and parking for two cars. The homes will also be energy efficient, resulting in lower utility bills and housing costs to make tenancies more sustainable. Construction by the Somerset-based developers Halsall Construction is nearing completion, and the new homes are due to be available for rent at the end of February. “Many people, particularly young families who support local services and businesses in the area, are being priced out of their community because housing is simply too expensive.